Furnished rentals are perfect for travelling people, students, or anyone who might need a place to stay for a certain amount of time, and are not interested in too many details. Furnished rentals come equipped with all the necessities and are normally move in ready. There are different types of furnished rentals, some are in brand new high end, high-rise buildings with very modern décor, and others could be in old classic structures. The difference will be in the location and price, like the saying goes, “you get what you pay for.” If you have a small budget you can find a furnished rental, no problem. The only thing is it will be very basic and probably not very stylish. *A balcony or patio may perhaps be attached to the furnished rental unit. If so, it might have a couple of chairs and a small table. These are the things that are included in standard units. 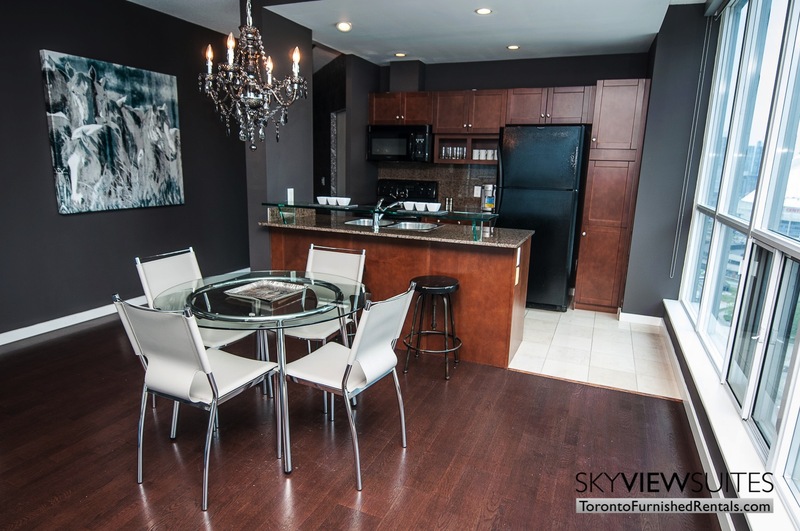 If you are looking for a place that has more, such as a sexier appeal, www.torontofurnishedrentals.com has multiple apartments that come furnished. Their rentals are hassle free and include the basics and more. Not all apartments come with cleaning products or have a housekeeper frequent the unit, but the ones at SkyViewSuites do.